Blood Alcohol Level. 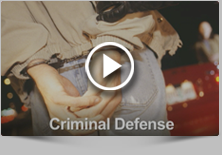 Pennsylvania’s DUI punishment system has three tiers and is dependent upon your blood alcohol level. Note: Blood alcohol levels for individuals under the age of 21 are different. Prior Drunk Driving Convictions. Each DUI conviction or ARD within 10 years raises the level of penalty assessed. Refusal to Take a Blood Test. If you refuse or decline to take a blood alcohol test, you are deemed to be in the highest blood alcohol content tier, and you may be subject to additional license suspension for your refusal. Presence of Other Drugs. If you have any amount of drugs in your system you will be charged as if you were in the highest alcohol level. This applies, regardless of the drug or amount involved, even if the drug was ingested days or weeks prior to the arrest.